Alaska Horizon (Horizon Air) Embraer ERJ 170-200LR (ERJ 175) N647QX (msn 17000773) PAE (Nick Dean). Image: 946008. 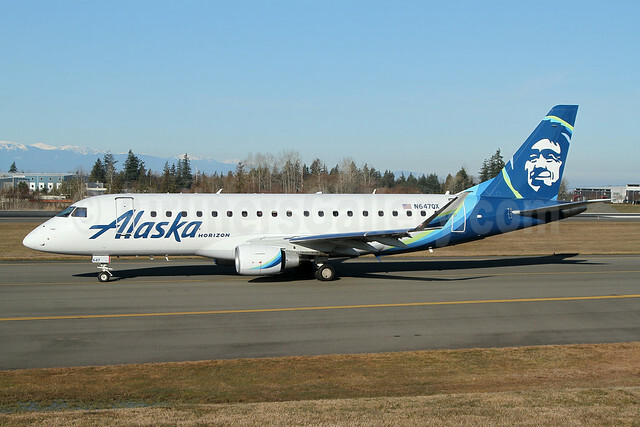 Copyright Photo: Alaska Horizon (Horizon Air) Embraer ERJ 170-200LR (ERJ 175) N647QX (msn 17000773) PAE (Nick Dean). Image: 946008. ← Air Côte d’Ivoire Airbus A320-231 TU-TSS (msn 067) JNB (Jonathan Druion). Image: 945974.